There is nothing better than garden salads. Just pluck a few things bursting with natural flavours, chop them up into desired forms and toss with whatever dressing you like. Or just skip the salad dressing if you wish, trust me you can make great salads without any dressing added. Some salad ingredients complement each other so well you don't need a dressing poured over them. 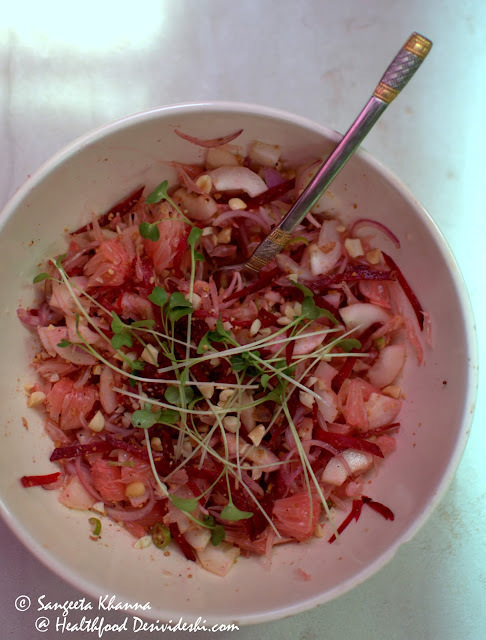 This Pomelo-beets-cucumber salad is a fusion between the Thai pomelo salad and a khamang kakdi which is a much loved salad from Maharashtra. Use of roasted and pounded peanuts is very common in Maharashtrian food as well as Thai food, I took advantage of the fresh produce from garden and tossed up this gorgeous salad for myself. This is one of those salads where you don't whisk a dressing and just mix all the ingredients and toss up really well. 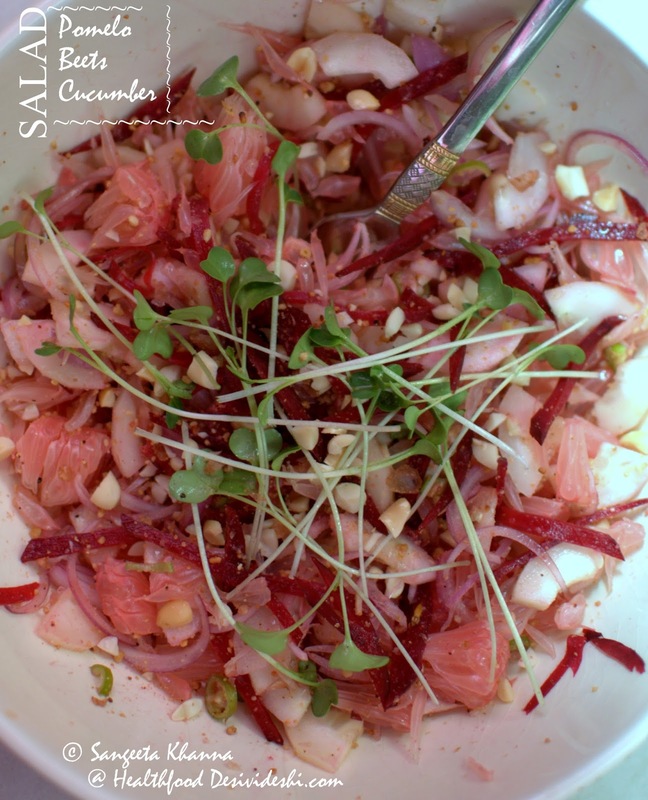 The fats in the peanuts, the acid in the citrus juices and the slight sharpness in raw beets and mustard greens balance the flavours as well as make the nutrient availability better. Mix everything up and give it all a good toss. You want the juices to mix up and the salt and sugar to get dissolved and soaked up by the vegetables and pomelo segments. If you don't find mustard microgreens you can use tender radish leaves or radish julienne cut just like the beets. If you have a pot you can sow some mustard seeds and get the microgreens in just 3-4 days. Keep using them till the first cotyledonary leaves give way to proper mustard leaves, the bigger leaves can also be used though. Last weekend we enjoyed one of the best salads outside our home. This was at Pan Asian, Welcome Hotel, Saket where Chef Vaibhav Bhargava has created a new menu that boasts of fresh produce and great taste at affordable prices. Pan Asian used to be exorbitantly priced but now the a la carte menu looks much more extensive and pocket friendly. The microgreens salad we had was a delightful mix of flavours and textures, with edemame and Japanese Bayberries, sesame etc. This was an absolute favourite. We also taste pomelo salad but I was not impressed because I get to eat garden fresh pomelo anyway. Another favourite was a Yellow tail carpaccio with ginkgo nuts and more microgreens. We loved the California rolls with a soy based wrap and the variety of seafood dimsums too. I did not like the vegetarian dimsums though. We tried the signature Miso Black cod for main course. The fish tastes almost caramelized with miso paste, very flaky and succulent and each grain well seasoned and delicious. Chef Vaibhav told the fish is marinated for a couple of days before being grilled to serve. Truly a masterpiece. This menu is one of those where one doesn't feel overwhelmed with heavy greasy food. 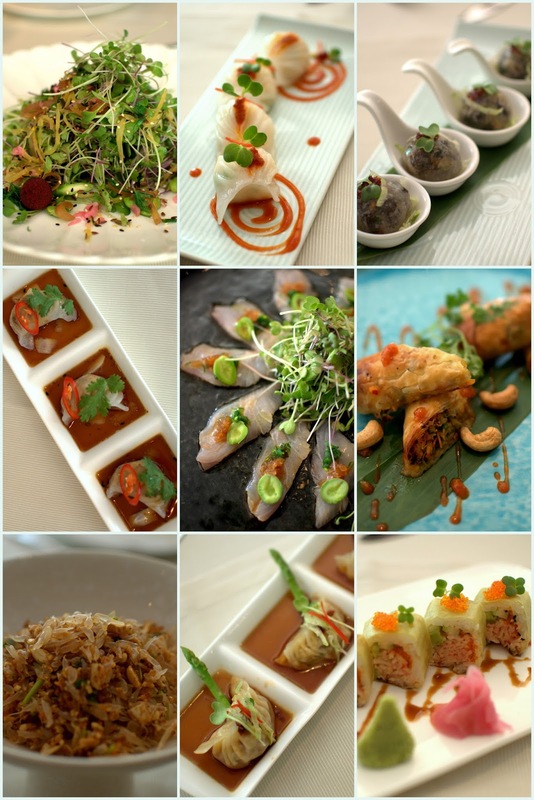 I love the way fresh greens and vegetables are treated here and the seafood which is so light and flavourful. This menu does justice to anyone who wants a light yet filling meal or even a low calorie meal. 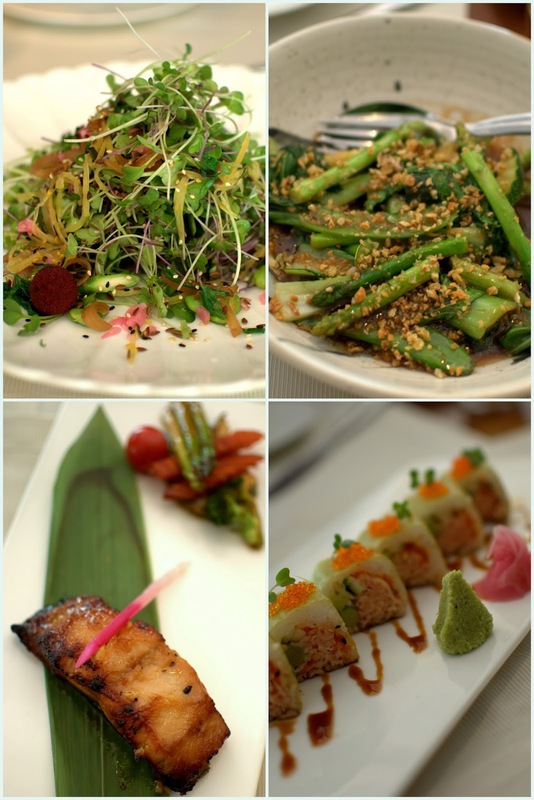 Chef Vaibhav even serves gluten free and organic produce on request. What is not to like when you are spoiled for choices of healthy and hearty food in a plush restaurant. Family celebrations are the times when one heads towards 5 star hotel restaurants and with this kind of food even the celebrations can get absolutely healthy yet very exotic. Great post as always. Never heard of pomelo before. Can it be sourced in Delhi ? Loved the tips on mustard greens. 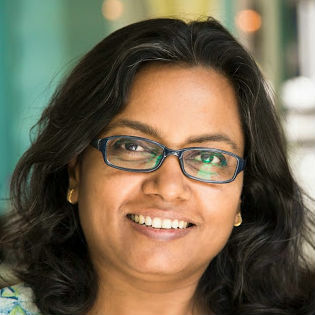 Thank you - Preetha.